This volume in the Foundations in Diagnostic Pathology Series packs today's most essential breast pathology into a compact, high-yield format! Its pragmatic, well-organized approach, abundant full-color illustrations, and at-a-glance boxes and tables make the information you need easy to access. Practical and affordable, this resource is ideal for study and review as well as everyday clinical practice! Discusses all aspects of a pathologic entity, including clinical features, pathologic features (gross and microscopic), ancillary studies, differential diagnosis, and prognostic and therapeutic considerations. Presents state-of-the-art coverage of molecular advances in malignant breast disease. 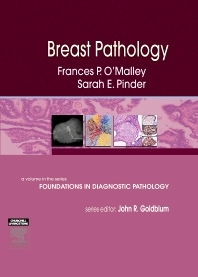 Offers advice from the preeminent breast pathologists in the world. Includes more than 400 illustrations—most in full color—that demonstrate the key features of a wide variety of pathologic lesions.